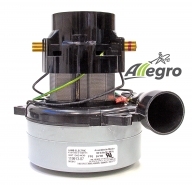 In Bypass motors the work is independant from the cooling air. 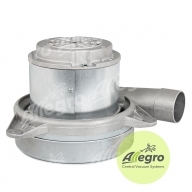 A separate fan is used to direct cooling air over the armature and field. 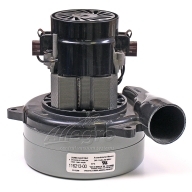 Manufacturers should ensure that the cooling air does not mix with the vacuum or blower air. 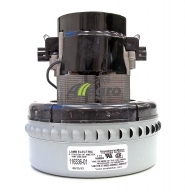 Cooling air is typically mad available through a egress in the equipment housing. 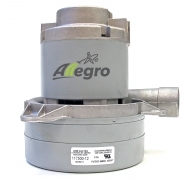 Bypass motors come in two configurations: Peripheral Bypass and Tangential Bypass. 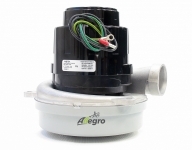 The method a manufacturer chooses depends on the method of mounting and air ducting geometry. 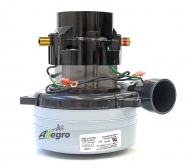 Because the work air does not travel across the motor at all, this style motor is a dependable choice for wet pickup applications such ar scrubbers and carpet extraction. 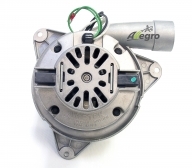 Bypass motors are available in single and mutltiple stages. 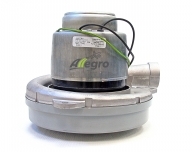 The stages are used to create more pressure if used as a blower or more lift if used as a vacuum. 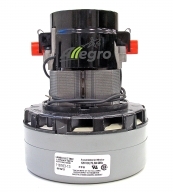 Single stage motors typically have the highest air flow/air watts while the lowest vacuum levels. 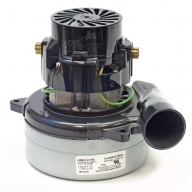 Adding fan stages increases the vacuum capability of the unit but reduces the air flow. 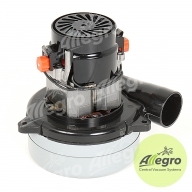 This is because of increased impedance to air flow through the system, the result of additional fans (rotating and stationary) through which the air must pass. 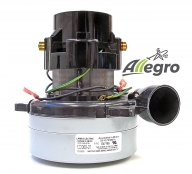 In Through flow motors the work air travels through the fan system and is discharged directly over the motor windings as it exits, so the work air also provides cooling for the motor. 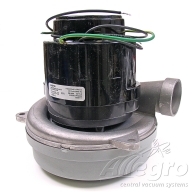 Typical applications are mostly in dry vacuum conditions since the work air is also the motor cooling air. 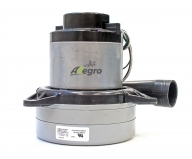 Through flow motors are available in single and mutltiple stages. 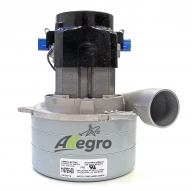 The stages are used to create more pressure if used as a blower or more lift if used as a vacuum. 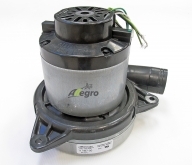 Single stage motors typically have the highest air flow and lowest vacuum levels. 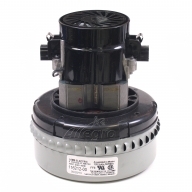 Adding fan stages increases the vacuum capability of the unit but reduces the air flow. 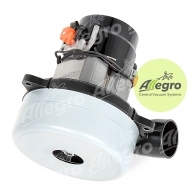 This is because of increased impedance to air flow through the system, the result of additional fans (rotating and stationary) through which the air must pass.